There’s nothing quite like dinner and a show, and with the Brisbane Festival looming we’re already anticipating the masses that are about to descend on our favourite venues. There’s nothing quite like dinner and a show, and with the Brisbane Festival looming we’re already anticipating the masses that are about to descend on our favourite venues. Be smart and plan ahead, because no one wants to be ordering Maccas in their finery (no judgement). Here are our picks on where to dine during Brisbane Festival. New kid on the block Patina is turning heads with its polished, striking light feature and mouthwatering menu. Treat yo’self to panfried gnocchi with roasted pine nuts, smoked raisins, kale and ricotta and chargrilled ocean king prawns. Couple this with river views, a heritage listed building and an Aperol Spritz (or two) and you’ve got yourself the perfect pre-or-post Brisbane Festival experience. Find yourself in Treasury’s courtyard, surrounded by fresh cocktails and funky tunes every Friday throughout September. 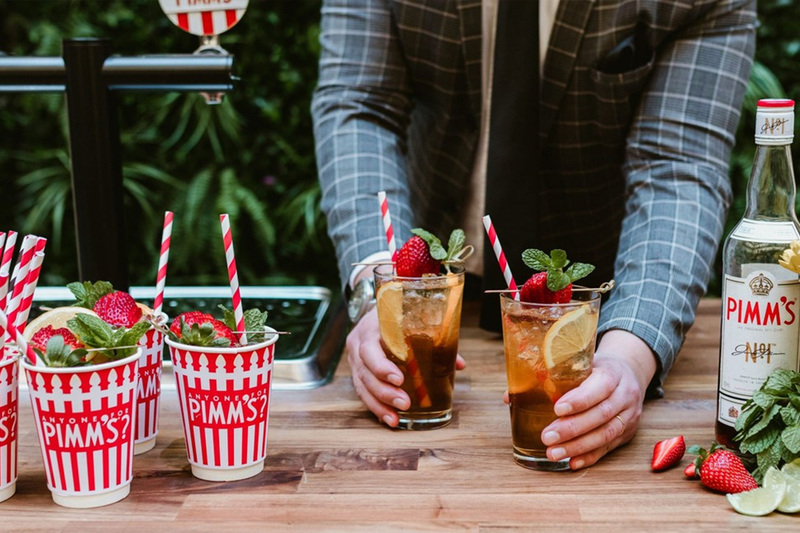 Spring Time Drinks will feature live DJs, surprise giveaways and prizes to be won – and if cocktails are your jam, you’re in luck with new flavours each week. No strange to theatrics, QPAC frequenter’s favourite Julius is a no-brainer for those taking part in festivities. With their imported pizza oven from Naples, the little Italian that could will be pumping out classics like marinara, prosciutto, margherita and the decadent tartufo. More about that pasta life? We can’t look past the famous duck ragu. Grab a bottle of Sangiovese or chianti and get carb loading! With river views and two private dining rooms, walking into Blackbird Bar & Grill feels like stepping into a scene from the Great Gatsby – sorry we can’t guarantee a cameo by Leo. The modern Australian menu features main plates like suckling roast pig, kangaroo loin and pan-fried gnocchi accompanied by sides like steamed greens and shoe string fries. Order one of their signatures cocktails, or choose a wine from their extensive wine list. Vietnamese? Hello Please! Treat yo self to chicken bao with cucumber kimchi, Sriracha mayo and coriander, 5 spiced pork belly and Bo Kho – aromatic beef cheek, aromatic tomato, lemongrass and ginger. With a small, but mighty (not unlike the restaurant itself) selection of wine, beers and cocktail specials – you’ll be wanting to say hello to Hello Please every day. Not just your typical gastropub, Pig ‘N’ Whistle is as trendy as the food is tasty, and it’s the perfect pit stop before your cultural adventure. Grab a drink and mushroom arancini at the bar before hightailing it to South Bank. Pub traditionalist? They’ve got all the classics like traditional English pork pie, Cornish pasties and slow braised steak & Guinness pie – topped off with a bottle of vino from their extensive wine list. Almost too conveniently located near QPAC (you might find yourself thinking you have time for just ONE more pint) is the ever so aptly named Charming Squire. The relaxed, open venue is more than just a glorified pub with an extensive menu. Choose from a huge range of wood-fired or coal pit cooked meals, seafood and share plates. Not a beer drinker? Not a problem – the Squire delivers with a 15 (!!!) page beverage menu with signature cocktails and wines. It’s actually criminal to visit the Powerhouse and not order a glass of wine and a plate of tempura fried zucchini flowers and do some people watching. In for the long haul? We can’t look past the braised lamb shoulder with red chilli, new potatoes, artichoke and mint – it’s made to be shared, but they can’t actually enforce that, can they? Watch the ferry drift by as you prepare yourself for an evening of entertainment. We know you don’t need an excuse to go out for dinner, but a festival is a pretty good one in our opinion. So whether you’re catching one show or five, there’s always time for food. - the gourmand who is ALWAYS hungry at intermission. La Lune Wine Co | It’s wine time in South Brisbane!